My eight year-old son is a believer. 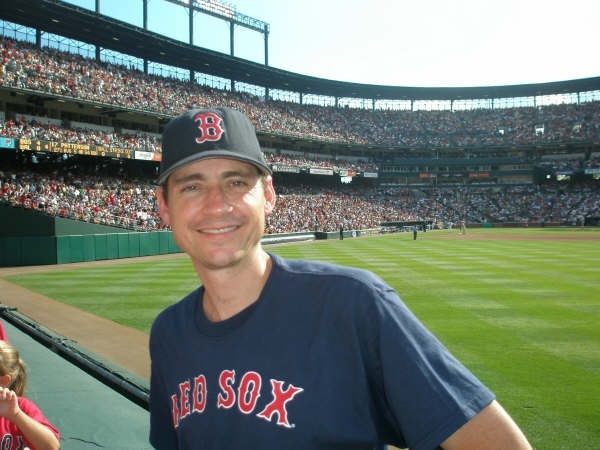 In his short life, he has attended some of the greatest regular season Red Sox games of them all. 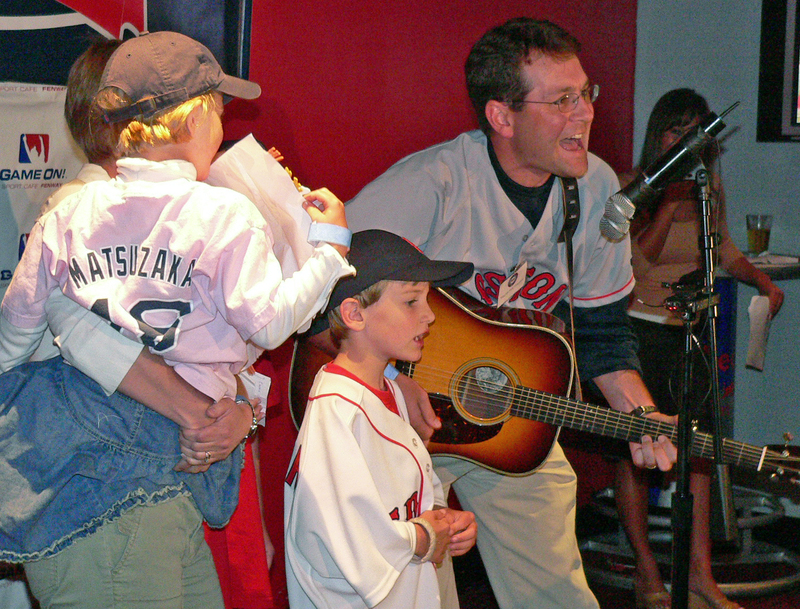 He was at Fenway for the Varitek-ARod fight followed by the Mueller walk-off vs. Mariano Rivera in 2004; he was there for the Mark Loretta walk-off home run vs. Seattle on Patriots Day in 2006; and he was there for the incredible six-run, ninth inning rally vs. Baltimore on Mother’s Day earlier this spring (Sox won, 6-5). The weather was horrible. By the end of the 7th inning, with the Braves leading 11-0 and a steady downpour soaking Fenway, only a few thousand fans remained in the stands. My son was shivering so I asked him if he wanted to head home. “No way, Daddy!” he said, insulted. “Daddy, we’re going to come back and win this game.” Then he commanded, “Put on your rally cap!” So I turned my cap inside out. And so did all the people sitting near us. In the 8th inning, completely drenched, he turned to me again and said with absolute seriousness, “Daddy, the Red Sox are winning this game.” I replied, “I know they are.” In the top of the ninth, the Braves scored three more runs, and before the Sox came up in the bottom of the ninth, he said, “That’s actually good, Daddy, because now the comeback will have three more runs and that will be more exciting.” “You’re right,” I replied. “LET’S GO RED SOX!” he continued to yell through the raindrops. The Sox went one-two-three in the ninth, and the worst Sox game of the year (from a spectator’s perspective) was over. 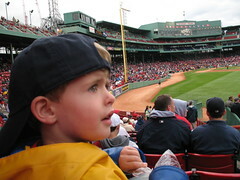 My son was pensive as we walked out of Fenway. On the drive home, he was quiet and I thought he was asleep until he said, “Daddy, I know this sounds strange, but I’m going to say it anyway. I really think it’s…. funny that the Red Sox didn’t win. I mean, I really really thought they were going to come back. Even with two outs in the ninth inning, I just knew they were going to win.” Then, he fell asleep. His earnest faith gave me goosebumps. 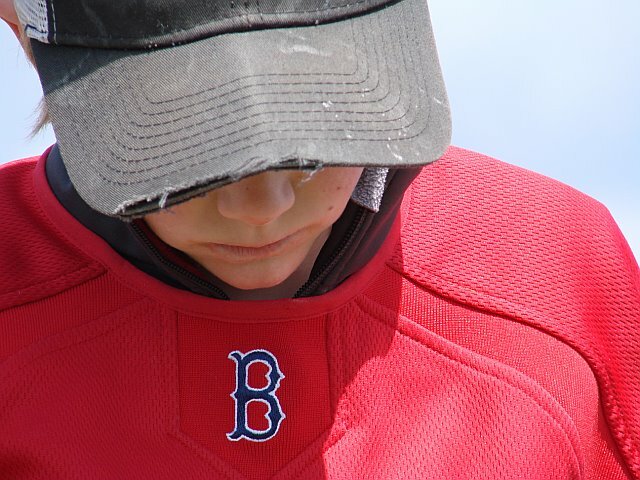 How lucky am I to be this boy’s father, and to be raising him a few miles from Fenway? 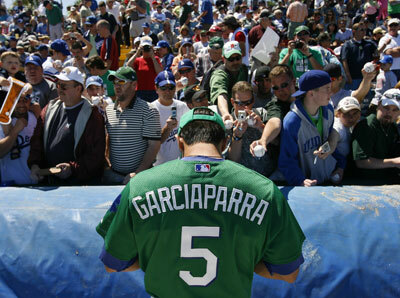 How lucky is Red Sox Nation to have this kid as a citizen? 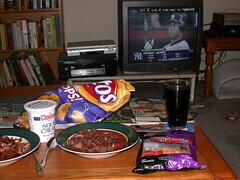 When our spouses, significant others, and children (who, although we love them, are occasionally “significant interruptors”) request our undivided attention when the game is on; when we’re absorbed in the pages of the Sunday Globe or Herald; when the World Series pre-game show has just begun; when we’ve got tickets and we’re running out the door — we are facing a stage 3 moment. In this stage, a Red Sox fan can either take a deep breath and calmly engage with the significant interruptor, or cling to the die-hard-fan mentality, blow-off the significant interruptor, and strain or destroy his/her relationships. 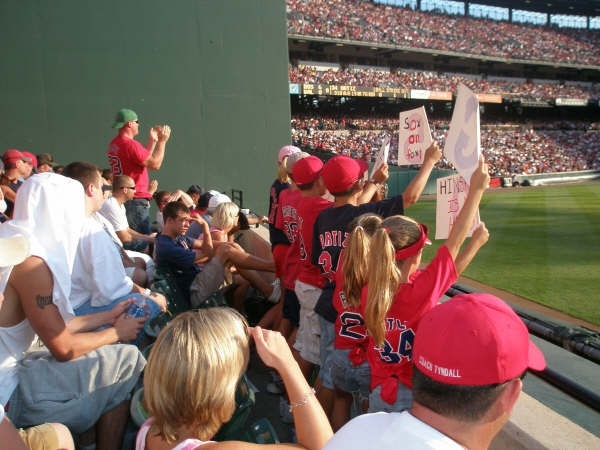 A genuine stage 3 fan has learned to manage his expectations about how much time he will be able to spend “being an active fan,” and recognizes the moments when he’s torn from his fan experience as “critical relationship-defining junctures” and “necessary baseball sacrifices.” Every fan who enters stage 3 and re-calibrates his priorities is destined for long, contented interpersonal relationships, a degree of baseball starvation, and a dependence on Tivo. Stage 4. “I am one with baseball.”A stage 4 fan is one who, with an endless archive of Red Sox memories, has developed a philosopher’s appreciation of The Game; whose passion is ignited by the way a third baseman kicks the dirt between pitches; who knows the Red Sox will win another World Series in his/her lifetime, and it won’t be because of a particular managerial move or trade, but because the stars align and the players get on a roll; who sees baseball as a metaphor for numerous truths and paradoxes of the natural world; who can thoroughly enjoy watching any major or minor league team play, and indeed, can get as much enjoyment from watching a local little league game as from a Red Sox game; who reveres a slick-fielding, reliable shortstop with superior range (regardless of his ability to hit) as much as a dominant closer or triple-crown contender; whose number-one reason for not wanting to miss an inning of any game is the fear that something will happen, the exact nature of which he’s never seen before; who understands completely that the Red Sox are a business, but who still sees the magic in baseball and the majesty of Fenway Park; who is grateful for the chance to watch Derek Jeter play, even though he’s a Yankee; and who is deeply moved by baseball’s unparalleled capacity for enchantment, particularly in the hearts of children, and is on a quest to recapture his/her own innocent, child-like appreciation for the game (stage 1). Stage 4 is sort of like becoming a baseball buddha. Of course, stage 4 encompasses all the other stages, because the stages are cumulative to some degree. But at the same time, stage 4 is absolutely distinct from the other stages. And by the way, only those of us who were fans in 1918 were able to access stage 4 prior to the last out of the 2004 World Series. (Now, we all can.) Perspective, appreciation, and sagacity are impossible when you’ve only experienced heartache your whole life and you actually wonder if curses are real.